Huge lashes, lavender cheeks, and a berry-stained "jelly" lip! Apparently, two-toned lips are in this season. 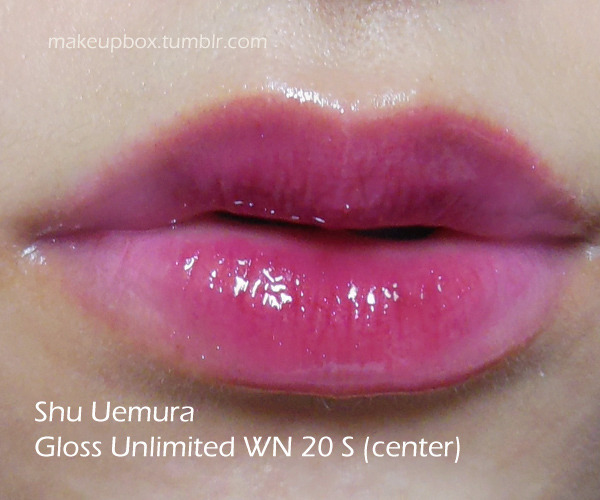 (Apparently, I've been doing them for 2 years while they were completely out of fashion; boohoo...) I don't usually use glosses to do ombre lips, because there usually isn't enough of a visual contrast. 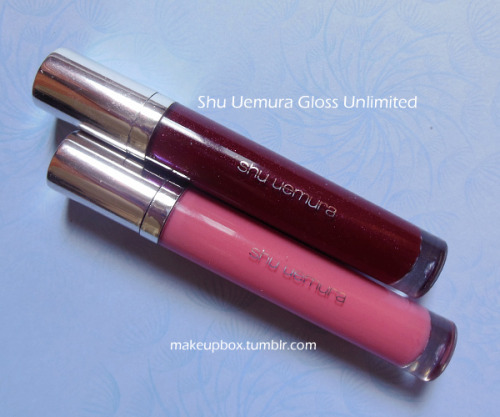 But when I saw a very dark shimmery wine shade in the Shu Uemura Gloss Unlimited range, I immediately thought "stained jelly lips!" *The US range seems to be slightly different from Asia (is anyone seeing a recurring pattern here???) so I listed alternatives with a similar color if not the same texture. The modus operandi is "doll-like". Rounded, widened, with huge lashes. 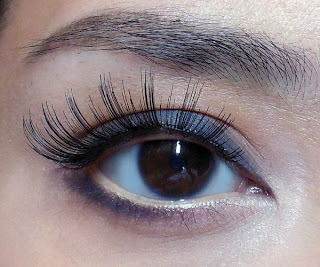 You can apply lower lashes if you want, but this isn't meant to be a super-dramatic look, so I skipped that. Step 1: To create a rounded eye shape, I used the 88 Warm Palette and mixed up a few of the medium browns just to create a warm matte tone that's about 2-3 shades darker than my skin color. 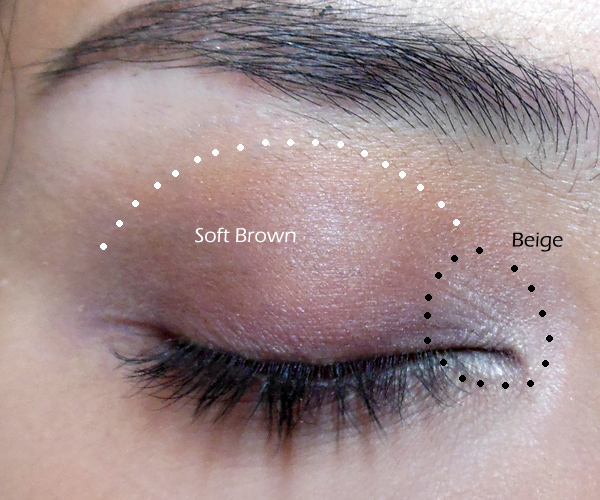 This I applied to the entire lid in a rounded shape, blending upwards almost to the brow near the center. Then on the inner corners, I applied a little pale beige. Step 2: Line your lower eye rim with a pale yellow liner like NYX Yellow. Next, use a dark grey or charcoal pencil to create definition and emphasize a rounded shape. You want to line it such that it's thick at the center of the eye, and then tapered to a thin point at both ends. 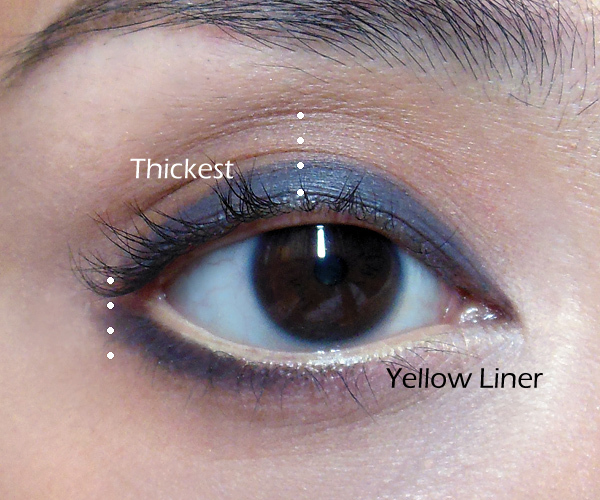 On the lower lash line, run the charcoal pencil along the outer half of the eyes, making it thicker at the outside. Step 3: Here's one trick to easier eyelash application. 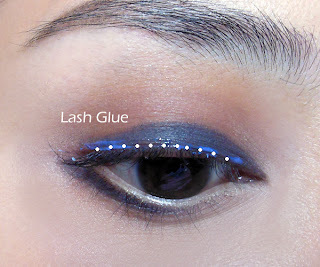 Apply the glue directly along your lash line. This can be done if you're using one of the brush-applicator lash glues, or with a liner brush if you're using regular tube glue. Step 4: Apply long, dramatic clustered lashes (I used Red Cherry #16s) and push them up at the center of the eye for doll eye. I wanted a "glowy" sort of effect to go with the eyes and lips, so I used a lavender blush (MAC Full of Joy just on the upper areas of the apples and up long the cheekbones. Hi Candice! You look great on the picture. I really wanted to see you with whole face shot pictures. Lovely! LOL thanks so much Jenny!! If you are looking for buy makeup products online.I think this place provide any kind of beauty products to get at affordable price.